Admit that you love Zydeco music with its rich rhythms and melodies. Zydeco music is meant to keep your feet movin’ and your body groovin’ as accordion, guitar, violin, mandolin washboard, squeezebox, percussion, drums and more triumphantly unite and blast out of the gate with confident intensity. You’ll find Zydeco influenced music in country, contemporary, Western and even earthy music as it benefits many types of scenes. Rhythm and Blues music has undergone many changes over the years, though it originated with the heartbeat of African American music. Today, whether acoustically or electronically performed, rhythm and blues music is heavy with themes of love, loss, romance, freedom or economics. Rhythm and Blues’ groovin’ and soulful beat creates a soft, easy-going mood for the background. Banjos make music fun! Banjos are often heard in country, folk, Irish, Appalachian, traditional and bluegrass music, and even in minstrel shows. Once central to African American folk music, banjos were then crafted with the body of a gourd and a wooden stick for a neck with varying numbers of strings added. But no matter what it looks like or how it’s played, when you hear someone fingerpicking a banjo, you know it’s going to be a fun scene. Reggae, Calypso, Salsa, Oh My! Every single island and inch of coastline in the Caribbean boasts its own style of music it seems, but what’s common to all of them is their irresistibly dance-friendly rhythm. You just can’t sit down while listening to Caribbean music. We’re not just talking Bob Marley either; we mean Calypso, Salsa, Flamenco, Merengue, Bachata and more. Big cities are often loved for their diverse music scenes; especially world music which can be heard in every club and on every street corner. World music transports listeners to lands of mystery and intrigue, but when an abstract effect is added to it, well, now you’ve got some seriously awesome abstract music from around the world. Uniquely creative, world music always adds an element of surprise as unusual or uncommon instrumentation unites this genre. Edgy pop music is the way to go when productions require a driving, energetic or wild beat. Pop music is often eclectic or borrows elements from other music styles including rock, urban, dance and Latin, though there are common elements to pop music. Edgy pop music can be bold, raw, jagged and dissonant, and employ repeated choruses, melodic tunes and hooks to catch the listener’s ear and draw them into the song. Edgy pop music is great for youth culture, romantic sitcoms, viral videos, promotional videos and high-energy ads. Fantasy comes from the Italian word “fantasia” and fantasy music was originally created as orchestral musical scores which were primarily improvisational and whimsically inventive. Instrumental Fantasy music pays tribute to the magical idea of music rather than to a particular genre of music allowing it to become the backdrop for fabled tales in fictional worlds with supernatural phenomena and mythological themes. Music which creates a sense of magic, wonderment and awe, or suspense, mystery and intrigue is often used magnificently in many creations. People enjoy being surprised, watching scary movies and not knowing what’s around the corner. 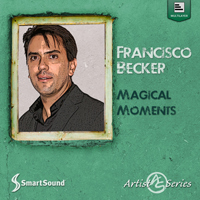 Magical instrumental music with its varied and complex instrumentation sets the stage for compositions which are gripping, powerful and dramatic—but also gentle. Patriotic Music is hopeful music; filled with reflection, drama and triumph. 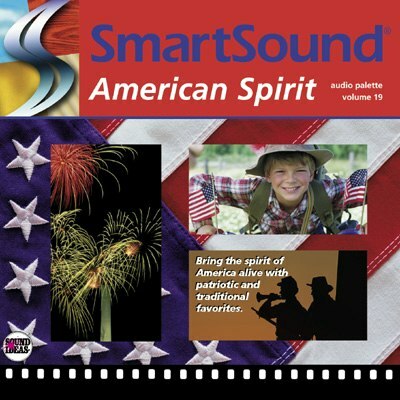 Devotion to one’s own country and sense of nationalism runs deep as evidenced by the multitude of America-themed songs on the newly released album American Spirit. American Spirit, and the others mentioned here, embraces uplifting, orchestral marches with poignancy and majestic intensity. Heroes, heroines and those who have lost their lives come alive in Patriotic Music with beautiful, touching music scores thoughtfully composed. Sweeping solemnity and joyous celebration combine to form Patriotic Music—ideal for dramas, marches, memorials, tributes or documentaries. Herald the arrival of Independence Day with the album American Spirit and let freedom ring! One of the most recognizable songs on the album, America the Beautiful, is sung in sports stadiums and many other venues around the country and is enjoyed for its dignified, stately and patriotic theme. The USA has her own brand of specialty music with fan favorites like marches, Dixieland, folk and ragtime. 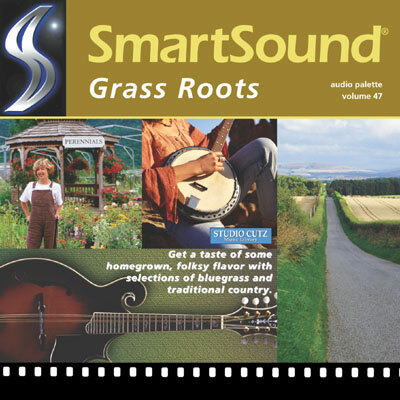 This album is ideal for historical productions, documentaries, political projects, tributes, biographies or any project needing a traditional, patriotic theme. Military-themed music is often heard during tributes, memorials, marches, biographies, documentaries and a host of other events. Military music is known for deep, brooding and poignant musical tributes which honor solemn, yet often inspirational and heartwarming occasions. Hearing military music often causes the listener to touch their heart, bow their heads, stand quietly or salute the ever-present flag. The music is hopeful, triumphant and emotional. The urge to travel to exotic, mysterious places is like the call of the mythological Sirens—dangerous and beautiful sea creatures who lured merchant ships with their enchanting music. Once that music is heard, the desire to take action follows so if you’ve got scenes in your production requiring music for travel videos, documentaries, biographies, narratives or corporate communications then consider Instrumental Travel Music that’s as powerfully compelling as that of the Sirens. Produce a perfect score for your masterpiece with SmartSound’s extensive collection of Heartwarming Orchestra Music. Heartwarming orchestral music evokes a broad range of emotions with music that can be moving, hopeful, and heroic thanks to soaring strings, rousing keys and dramatic brass and woodwind sections. Whether you need a soundtrack that’s delicate and pensive or calm and elegant, these selections just might beguile you. 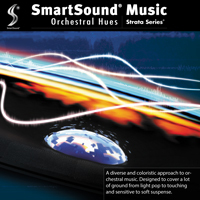 Whimsical Orchestra Music moves as freely and quickly as a merry-go-round and creates a funny, happy, or patriotic tone with magical, quirky instrumentation. 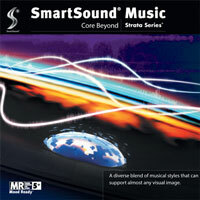 Check out SmartSound’s delightful collection of royalty free background music as it revives memories of youth, freedom and fun. 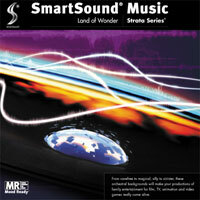 Ambient Background Music is ideal for productions in need of a particular atmosphere, emotion, mood or tone. Music innovator Brian Eno declared that ambient music must be able to accommodate various levels of listening attention and must be as ignorable as it is interesting. Ambient music is the type of music you hum along to without even realizing it’s there. Scoring your piece with ambient electronic music could be the hit you’re looking for. Check these scores out.